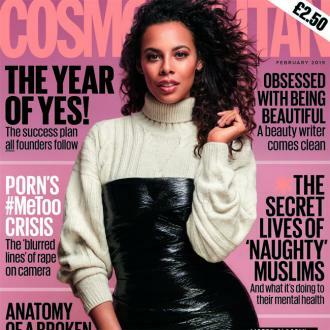 Singer Rochelle Humes has revealed she wants to have another baby. Rochelle Humes wants to have another baby. The Saturdays singer only gave birth to her second child Valentina seven months ago, but she is already dreading the day when she starts to grow up and no longer depends on her so much, and would definitely consider adding another little one to her family with her husband Marvin Humes. The brunette beauty - who also has four-year-old daughter Alaia-Mai with Marvin - said: ''Never say never, but it's a hard thing to call right now because Valentina's still so young. There was a time when I definitely thought I would only have two children, but now I don't know. ''I can't imagine not having a tiny baby again. I think I'm always really broody but you've got to stop somewhere. I actually thought I was having a boy when I had Valentina. The 28-year-old beauty has thrown herself into fitness over the past few months because she desperately needed to boost her energy in order to care for her two little ones. She told OK! magazine: ''I wanted to feel fit after having the baby. I was quite active when I was pregnant with Alaia, but by the end I was so anaemic so I didn't do as much and I felt really lethargic. But Rochelle is a little more lax on her diet because she doesn't agree with restricting herself.